Explorer has developed a loyal customer base that trusts us to make the right recommendations to support and improve their critical business systems. We solve business problems using Oracle technology. Our heritage as an Oracle Database and Infrastructure specialist is unrivalled and ensures consistency of service to our customers. Our development tool of choice is Oracle Application Express (APEX), which allows our customers to derive more value from existing Oracle Database investments and provides a platform for Cloud deployment. Oracle Support, Consultancy and Managed Services are delivered by highly skilled Oracle Certified Professionals and backed by experienced Project Managers to guarantee project success. 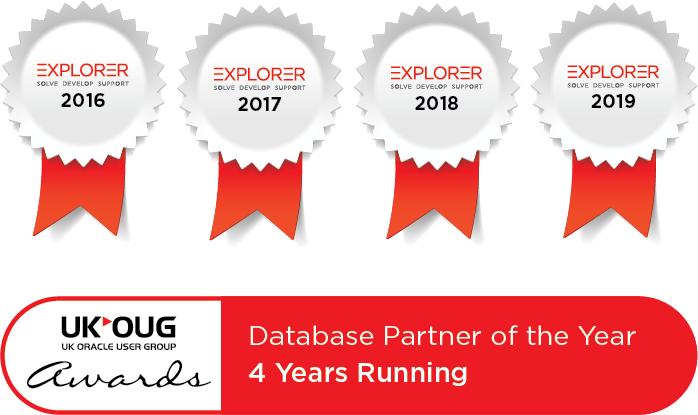 Explorer has a dedicated team of certified Oracle consultants specialising in Oracle Software, Engineered Systems and Cloud. In both a pre-sales and a post-sales capacity, Explorer’s consultants provide a comprehensive and fully tailored service. We offer customers the very best advice from our considerable experience using Oracle solutions; from design and implementation services through to optimisation and fully managed support services. Are you struggling to pinpoint Oracle issues?